Arna Rennan and Loretta Kelley join forces to perform dance tunes with their accompanying songs called "slaatte stev". 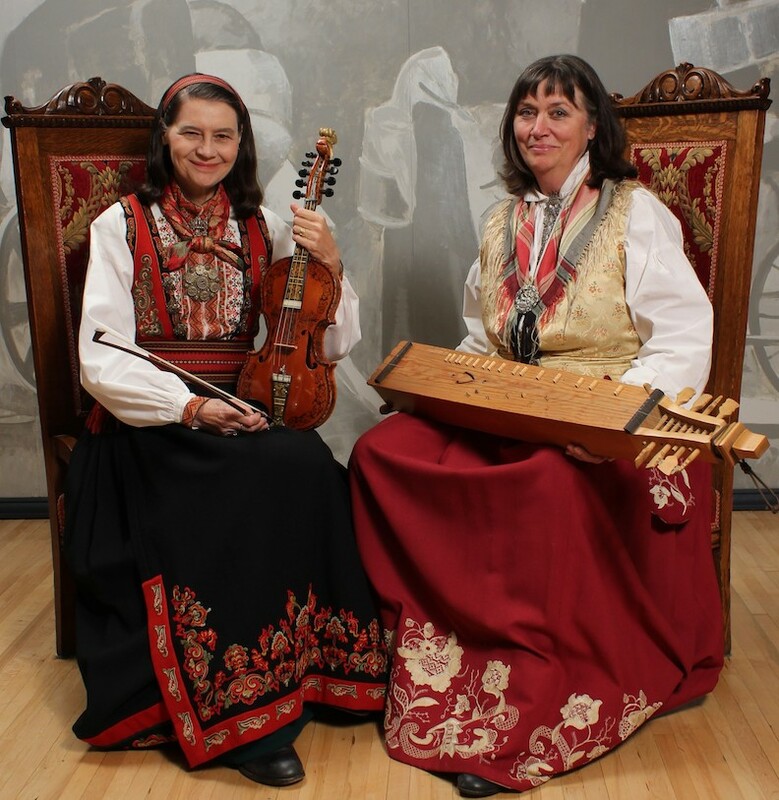 They have recently collaborated on a CD called "Treasures Left Behind" featuring mainly music from the Telemark region. Loretta is one of the foremost Hardanger fiddle players in the U.S., having lived in Norway to immerse herself and makes frequent visits to learn more. Arna studied at the Institute of Folk Culture in Telemark to learn "kveding", traditional folk singing. Their passion for this music is what brings them together and is evident when they perform. See and Hear Arna and Loretta Here!